When a Solo Image DVD is announced, a Photobook is sure to come. This isn’t actually a big surprise for me. 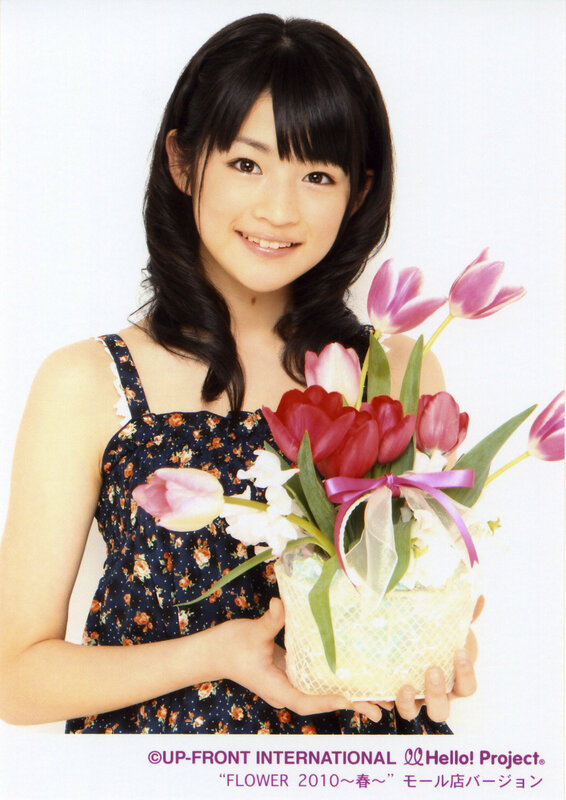 I know sooner or later someone’s gonna get her own PB/DVD from S/mileage (I hoped it was Kanon). Wow S/mileage has gone through a lot of promotions lately for their upcoming debut major single Yume Miru 15sai. Well various activities to promote their upcoming album, S/mileage and UFA has finally decided to released the CM’s. Yes those are what you called Augmented Reality. Funny how they liked practiced doing those on S/mileage. Well it’s pretty much cool but gets kinda boring after the 2nd because it’s all actually the same. Well at least this increases interest to fans. I was actually kinda shocked when I heard read this on Hello! Online’s Twitter this Morning since S/mileage is just debuting but here we have another unit by 3 of the 4 S/mileage members. Their unit is called ‘Lilpuri’ which came from the anime they’ll be singing for. The song is okay. I mean it’s good for an anime. Well since the unit is for an anime. The group won’t last that long (unless the anime last like Shugo Chara). This would also be the second time the three girls are in a unit for an anime (first time was Shugo Chara Egg for the anime mentioned above). Well it’s another S/mileage twitter event. I missed the first one since I was out in somebody else place. Definitely not gonna miss this one. It’s at 8pm Japan Time but 7pm in the Philippines! The girls will be signed under Pony Canyon (same one as Buono!) which means they could get a lot of success (I mean Buono! got successful ung Pony Canyon). Their debut single will be Yume Miru 15sai which will come in 4 single. A, B, Normal and the Single V.
More pics from the concert. Congratulations to S/mileage! And I hope they will be successful in their future! I’ve been too bust with my KPOP fandom that I almost forgot my H!P fandom. I mean since the Graduation of the Whole Elder Club last year. H!P and UFA pretty much did everything wrong. Graduations, Solo Single, Bad PV, Poor Sales, go name some more. Well within those times of despair, they did at least something right and that’s to regroup the once cute group Shugo Chara Egg and forming the ultra super mega and CUTER group now known as S/mileage (no offense to SCE but I really think those 4 aren’t that cute, well except for Nanami-chan she’s cute ). They were announce at Tsunku’s blog on April 4, 2009 (which reminds me… their one year is only weeks away) and released their first single “aMa no jaku” on June 7, 2009. Then “Asu wa Deeto na no ni Ima sugu Koe ga kikitai”. Yes it has a long title which pissed me off at first. But after I heard and watched the song (which coincidentally is after my Physics test which I’m bad at) everything changed. From the once doubtful group to my new favorite. I said then to myself, this could be the next Melon Kinenbi! This song failed. No not the song but the sales. I absolutely love the song, it has that rockish yet cute feel to it. But the song had poor sales. Why? UFA had a bad marketing strategy. Oh you don’t know what I mean? Well simple. The song was released at November 23, 2009 and the PV was released around January. I mean why release the single before the PV, that’s totally wrong. You wanna know how this chart? it ranked #159 and had a total sales of 399. This time they did the opposite thing, releasing the PV first then the single! I don’t know how the song charted yet. I don’t expect something high like the top 10 of the Oricon but at least making it in the Top 20 or 30 of the Oricon chart is fair enough since they’re still an indie group. Well they are that group with everyone having awesome voices(Saki and Kanon). I tell you give this group a little bit more time and experience and you’ll see what I mean. 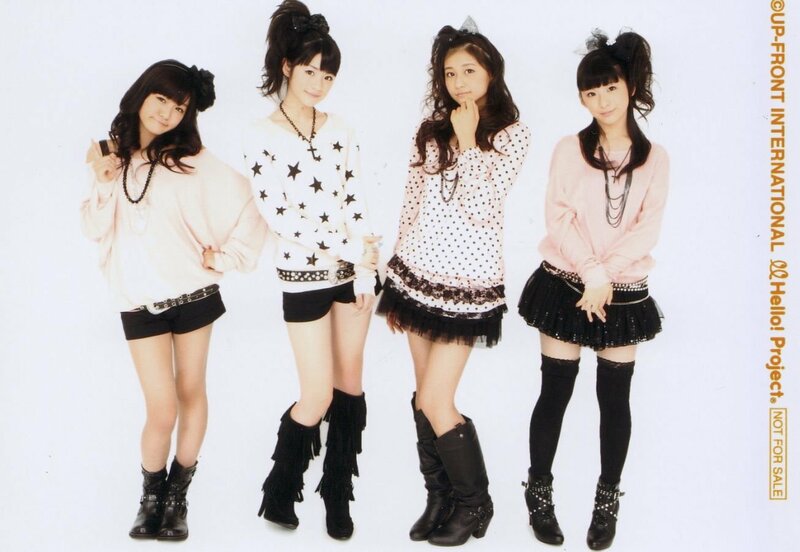 If this is your first time of hearing S/mileage, well give these girls a chance you’ll see they’re awesome.